Join us for relaxing treatments and well deserved retail therapy. All proceeds to Breast Cancer Care and the Nottingham Breast Cancer Research Appeal. 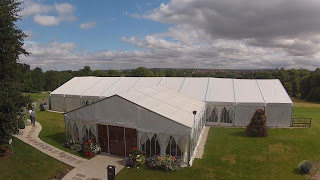 If you were unable to visit our wedding showcase on Sunday then why not view our wedding marquee video to give you a flavour of the best summer marquee venue in Derbyshire, South Yorkshire or the Peak District. If you like what you see or have any questions then please contact our wedding co-ordinators at Ringwood Hall on 01246 280077 and arrange a private viewing when the fabulous marquee is having a rest day. Due to popular demand we have also arranged for the marquee to be available during our hotel showround on the 1st of September so the quality interior of the marquee can be appreciated as well as the outstanding setting it has in our gardens. 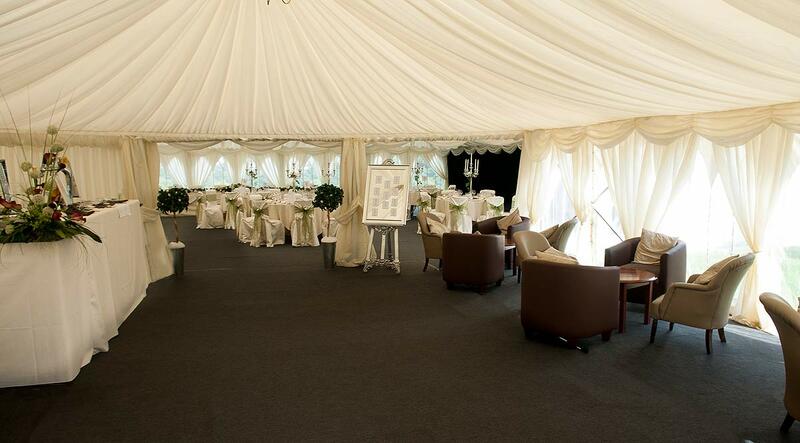 The marquee is a semi permanent structure with everything you need for your reception and it even has it’s own parking and executive standard facilities. 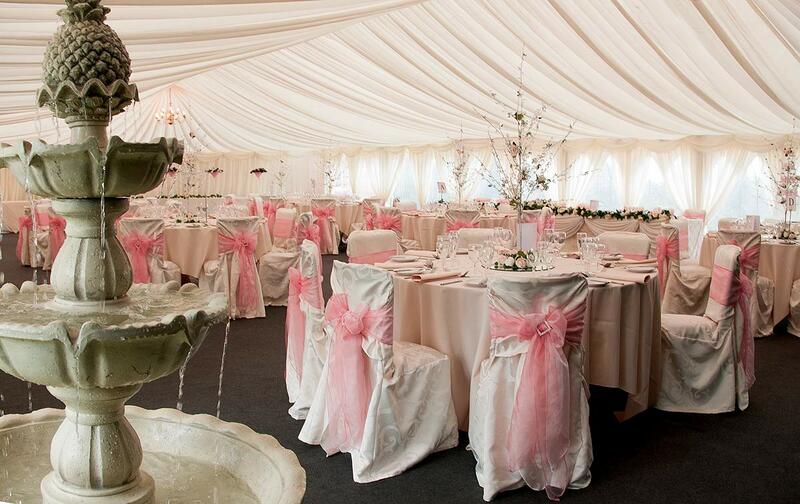 Our marquee wedding packages are designed to make the hire of the marquee affordable. The video introduces the marquee but you need to see it within our beautiful grounds to really appreciate it! If you are interested in late availability then follow our facebook page to ensure you are kept notified of any last minute opportunities that arise. We think the sun will be shining again this weekend but regardless we can guarantee a great day out at our garden marquee showcase. The marquee is available for wedding hire May and September and our open day on Sunday is your last chance to look around it until next year! You can also take this opportunity to browse the beautiful grounds or our beautiful, Georgian, Grade 2 listed Manor House Hotel. 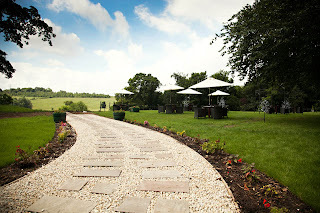 What better place will there be to enjoy a sunny Sunday afternoon, all you need to bring is the suncream! The marquee is proving very popular with our brides and once you get to see the marquee in it’s beautiful setting you will be able to see why. We have numerous different packages to fit your wedding requirements and our wedding co-ordinators will be available all day to answer questions you have. 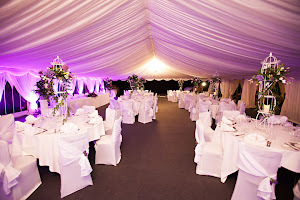 So if you are looking for a South Yorkshire, Derbyshire or Peak District marquee or wedding venue come and see us on Sunday, anytime between 12noon and 4pm, there is free admission and parking on site. The best wedding accommodation available, which room would you choose? 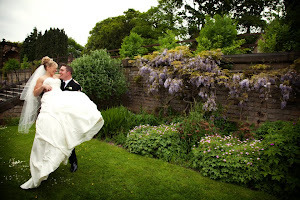 Ringwood Hall Hotel has a range of accommodation available for you and your guests. 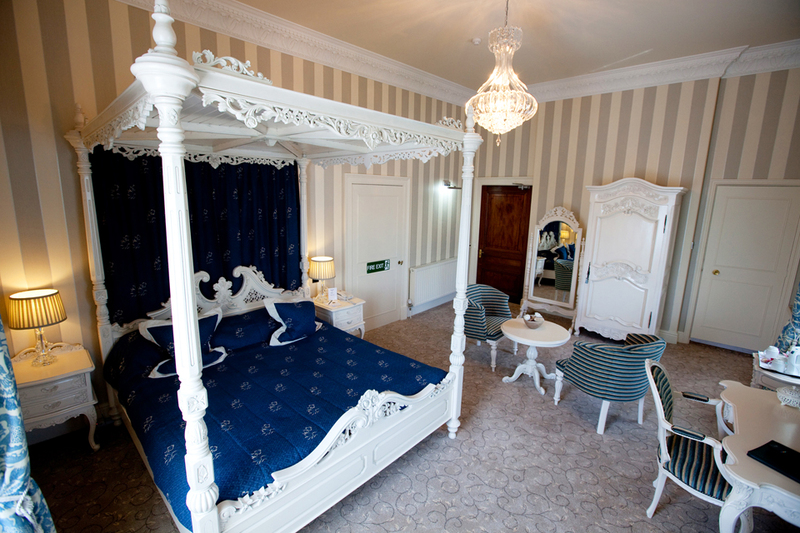 As your big day draws to a close make sure you spend your wedding night in more than just a hotel room, one of our feature rooms or four poster rooms will make sure you special day ends in . 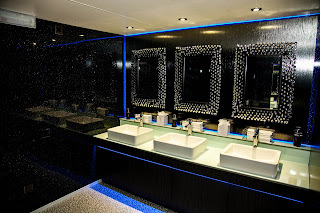 Our feature rooms have all been recently refurbished and offer a unique style that is hard to come by in a newly built property. 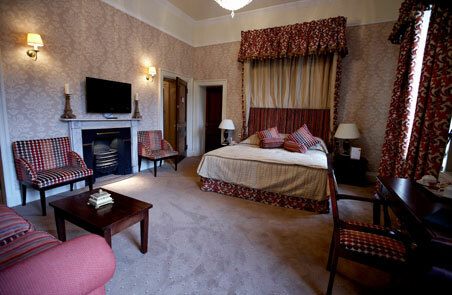 We have 5 rooms that offer four poster beds that offer you the decadence and glamour your special day deserves. Our range of wedding accommodation also cares for your guests as all your party are offered a preferential accommodation rate to stay at the hotel of just £47.50 per person per night based on 2 people sharing, including full English Breakfast use of our extensive leisure facilities. If they prefer we also have a number of apartments available ideal for the travelling family or those who want to extend their stay and see more of the Peak District! 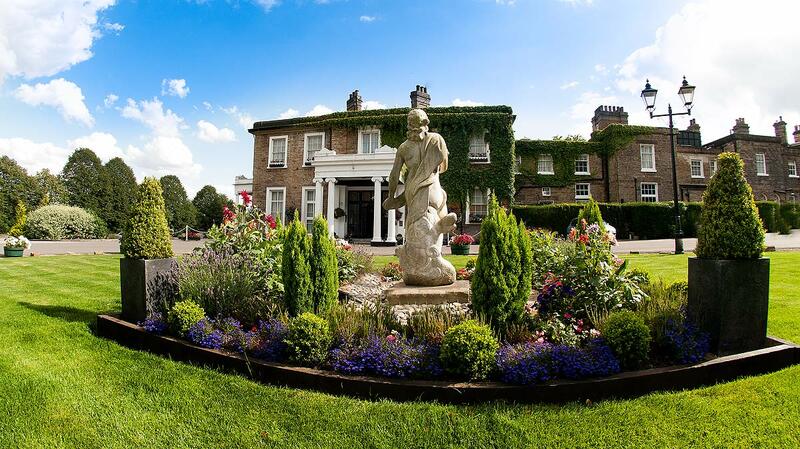 Ringwood Hall Hotel is not a purpose built hotel, and we have a wide and varied choice of 74 bedrooms overall. We recommend calling our reception team on 01246 280077 to make sure the rooms you book match your requirements, rather than book online. 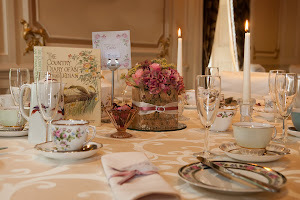 We are delighted that all the staff at Ringwood Hall Hotel helped make Kerry's day so special and we hope that all the couples that get married here in 2013 have a similar experience. Kerry stayed in the Renishaw suite, one of our four poster bed rooms and which has just had major refurbishment! 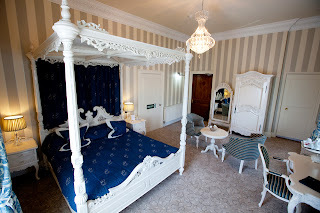 It features a king sized four poster bed, magnificent regal white furniture including a chaise longue, a 40" plasma TV, and a chandeliered ensuite room with feature bath that is absolutely stunning. 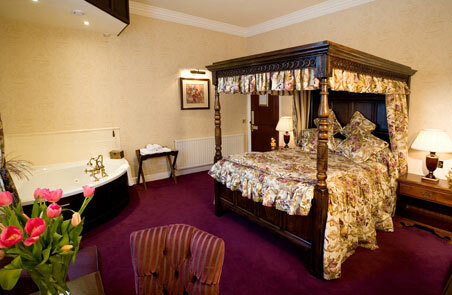 The Renishaw must be one of most beautiful 4 poster rooms in Derbyshire! Can we also thank all those who attended our showcase on Sunday, it was great to have so many visitors in the grounds and the hotel itself!